No doubt, Windows 7 is one of the most used and even most loved operating system so far after XP. But as we all know, Microsoft has ended all security update and technical support for windows XP in 2014. So Windows 7 is the only option left. 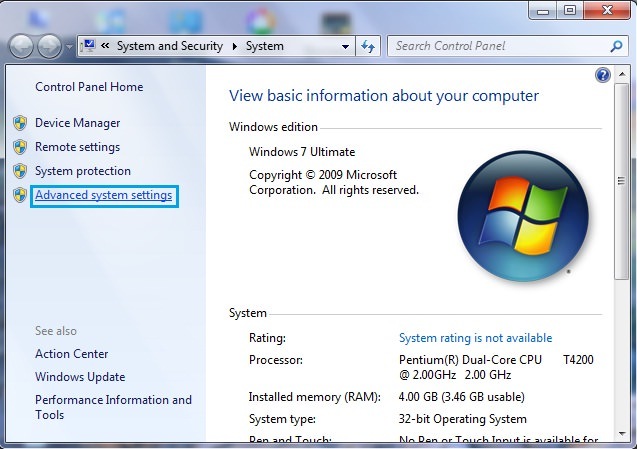 Windows 7 is well-known for its interactive look, faster speed and simplicity. Moreover it comes in number of editions including Ultimate, Professional, Home Premium, Starter and Enterprise which are suitable for every single person, no matter whether it is professional, gamer or just a normal user. What most of the people face problem is their computer slow down after a long use. Now let me ask you one question. What did you choose when it comes to appearance and performance? The most percent of answer depends on your computer RAM. If you have high RAM ( say 8GB+ ) then you don't need to worry about anything as it can give both better performance and appearance. On the other hand, if you have less RAM ( again say less than 8 GB ) than you need to compromise with appearance over performance. This is what we are going to do today. 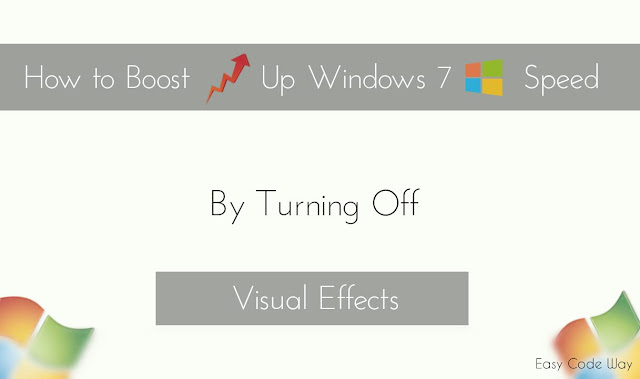 We will simply turn OFF all visual effects, ultimate resulting into boost up in windows 7 speed. So let's Begin! Here I have 2 methods for you. Just choose one whichever you find easy. 1. Go to Desktop and Find My Computer Icon. 2. Right Click on Icon and Choose Properties. 4. Now a pop-up window will appear. Under "Performance" Section, select "Settings" as highlighted in below picture. 5. Again a pop-up window will open. Click the Visual Effects tab. 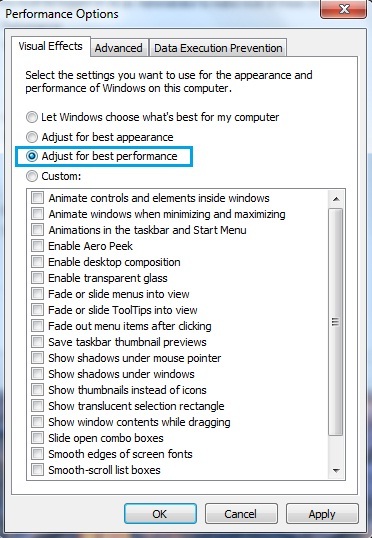 and tick "Adjust for best performance" option. 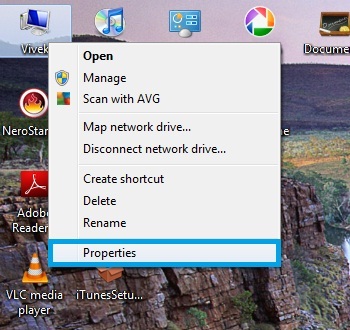 You can also select any visual effect manually or Let Windows choose what’s best for your computer. 6. After above steps, simply click OK button to save changes. Most of the time there are more than one way to do same thing. Apart from above mentioned method, you can also follow below steps as alternative solution. But ultimately we will be in same location. 1. First go to start menu and open control panel. 2. Under control panel, change view by to "Large icons". 3. 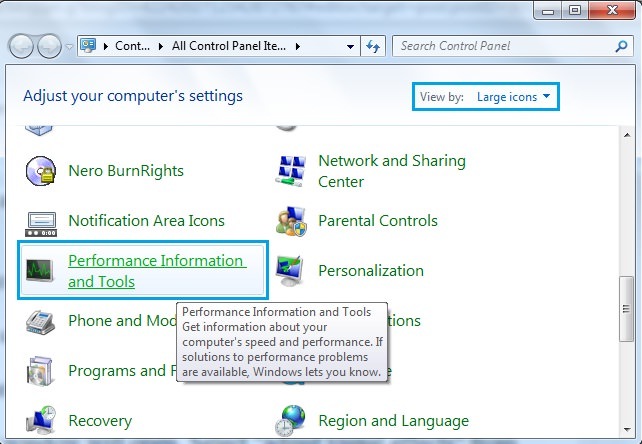 Now select "Performance Information and Tools" option. After above steps, you will be redirected to the same window as it would appear in step #5th of method 1st. Now continue with same steps of 1st method ( i.e continue with #5th and # 6th step ). 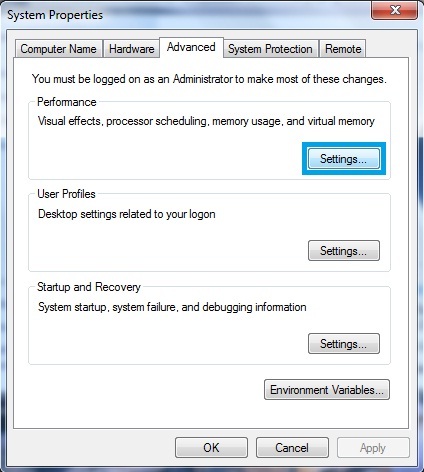 As you apply above settings, your computer screen will complete change ( look like an older version ) and you will definitely find some boost up in its speed. 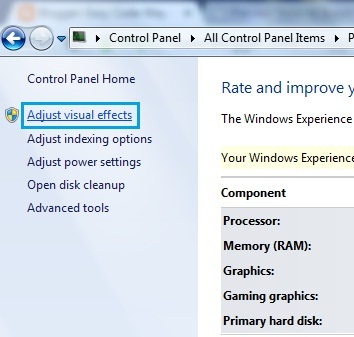 So this is all about on how to increase windows 7 speed by adjusting its visual effects for best performance. You can also revert these changes at any time. Simply follow any of the method and change visual effects to "adjust for best appearance" option. Isn't that interesting? Finally if you have any questions or doubt, just comment below and let me know!